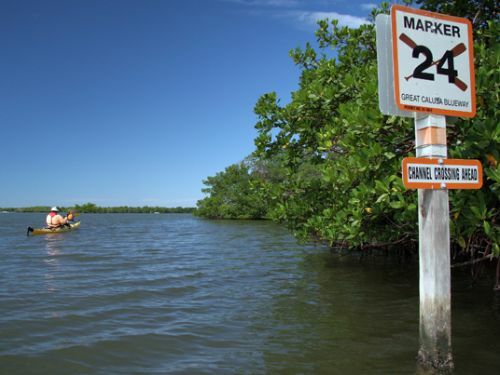 The Great Calusa Blueway paddling trail meanders 190 miles along the back bays and wildlife-laden shores of Lee County on Florida's Gulf coast near Sanibel and Fort Myers. The Great Calusa Blueway is a 190-mile waterway providing non-motorized access to Federal, State, and Local preserves and historic sites in one of the fastest growing areas of the country. Traversing the mangrove islands and tidal creeks of Estero Bay, Florida's first "Aquatic Preserve," visitors will see playful dolphins and gliding manatees as well as more than 300 species of birds. The historic sites include the Mound House, which was built in 1906 on a mound created by prehistoric inhabitants, Mound Key Archaeological State Park, and Koreshan State Historic Site, a Utopian pioneer settlement founded in 1984 by Dr. Cyrus Teed. The blueway extends from Estero Bay toward the north into Pine Island Sound, Charlotte Harbor and the Caloosahatchee River, providing access to the numerous creeks and tributaries, including Hickey's Creek, a State-designated canoe trail. 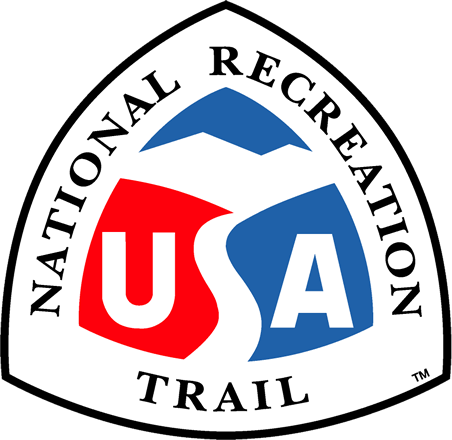 The Blueway has received designation from the State and is part of the Florida Greenways and Trails system. The Blueway is also included in the overall Lee County Trail Master Plan. The County's development of the Blueway was made possible and continues to be supported by local businesses, the Tourism Development Council, the West Coast Inland Navigation District, Lee County Parks & Recreation and local municipalities. Lee County Parks & Recreation Dept.